Sukhoi Awarded 30 Order Su-30SMs From Kazakhstan. Kazakhstan has ordered another batch of Sukhoi Su-30SM multipurpose fighter aircraft from Russia. The Kazspetsexport agency of the Kazakh Ministry of Defense and the Russian aircraft manufacturer Irkut Corporation signed a contract for the additional aircraft on May 24 during the KADEX 2018 defense exhibition in Astana. 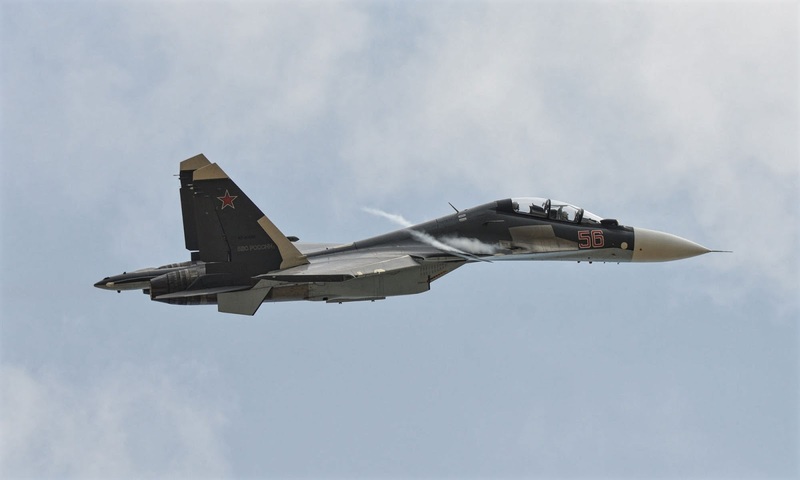 The modern Russian fighters will join the fleet of another Su-30SM, which since 2015 have been successfully armed by the Air Defense Force of the Republic of Kazakhstan, "said PJSC" United Aircraft Corporation ". The combatants will replace the existing fleet of similar combat vehicles used by the Kazakhstan Defend Air Force from 2015. Kazakhstan received four such aircraft in 2015, according to press reports. The various modifications of the Su-30 have already become the sales success of Rosoboronexport, Russia's only state intermediary for the export and import of military and dual-use products, technologies and services, according to the country's state conglomerate, Rostec. The jet-maker said in a statement that the contract is expected to be completed by 2020, and the TASS news agency quoted Yuri Slyusar, chairman of the parent company of Irkut Corporation, United Aircraft Corporation (UAC), saying the agreement is for the delivery of eight Su-30SM platforms.